A reader of this blog has submitted the below narrative describing his own meeting and experience with Mokkupodi Samiyar. There is now a Facebook page dedicated to this siddhar at this link here. "For the benefit of devotees, I wish to record the following events"
Basically I am a human with all sorts of desires, but struggling to gain inner peace. In that process – almost for the past twenty years, I read many books and followed the advices of many saints. In my pursuit of inner happiness, unfortunately, I could not have any living saints as my Guru. Further, the earthly things would also not allow me to proceed in my pursuit continuously. In short, I am an average human being, but have the desire to seek Atma or sprit. Another problem is that I always question things and won’t accept anything unless proven. May be, that’s why Children and innocent people always have good faith and chosen by God (as Jesus said those who believe in Father without seeing are blessed). Three years back, on seeing my quest, one of my friends introduced the name of Sri Ramana Maharishi of Tiruvannamalai and gave two volumes of Ramana Vazhi (The Path of Ramana by Sadhu Ohm). Those books and initial visit to Ramanashram wiped out most of my doubts (If I have any little more, it is purely due to my ignorance). Sri Ramana simply said to look inner and there is no other magic way to see God. So far, I took Girivalam about twelve times or more and I always choose a date other than full moon to avoid rush. I had many interesting events to narrate my experiences (or encounters) with GOD. But the following one, I wish to share the most. On 07.09.2014, by 06.45 Hrs, I started my Girivalam and after paying respect to Sheshadri Swamigal (first time) I proceeded further with a silent prayer of AUM (as taught in the Isha Centre). About 08.00 Hrs (after 6th Km), while passing the Ner Annamalai Temple, I saw 15-20 people were either politely standing with folded hands or sitting on the floor near Navagragha area or lying down (Shastanga Namaskaram) seeking the blessings of someone whom I could not view because of a pillar. As it drew my attention, I stopped and returned few steps back to the see the incidents. Watching from the platform across the road, I had a view of a thin hand giving some signs and one umbrella stick projecting from someone’s lap. I also saw a person standing nearby (he actually talked over mobile communicating as “athu ingathan irukku”- meaning that is here). He replied “It is Mokkupodi Samiyar. Everyone seeks Its dharshan. Sometimes It uses to scare people with stick. Even one VIP took It to her house for three days for getting ashirwad. It wandered around the hill for almost thirty years. It would not speak to anyone. Forest people moved It from the Arunachala Hill. Now It is staying in a nearby school and often comes out”. I was wondering whether it is publicity stunt by some beggar. Then suddenly that person stood up and rushed to beat a person (he was holding a baby on his shoulder and seeking his blessings). Everyone run off. It walked back to the temple wielding the stick vigorously. Now acting upon my sixth sense, I prayed to God and Ramana – If that is really a saint or siddhar, then I could possibly communicate in spirit or telepathy. So I crossed the road, and from about 40 feet distance (to avoid any beating) watched Its side posture. Till this time, I did not see Its face. I kept my heart calm and didn’t think of anything. I didn’t offer any prayer to that. 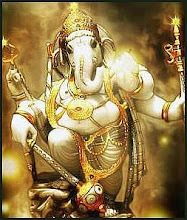 In fact I wanted as this my spiritual test and thought that if It is an enlightened person, It would give me a dharshan. On my return to Trichy, I browsed google and came to know about this enlightened Mahan. I called him as It – as he was initially introduced to me like that. I am happy that I had the dharshan and blessings of a Siddhar. But I also worried about the way he leads his life. While the so called saints and pseudo-enlightened people are moving in luxury cars and have all comforts, a real saint (you should watch his thejas - glowing face and powerful eyes in You Tube released by one Shri Megaraj). May be penance requires no comfort. Now I grieve that I should have behaved well in front of MPS. But by recording this, I could compensate in a way so that someone may notice it or write it – in the way people now remembers Shridi Sai." Last time when I went to Thiruvannamalai on August 2013, a local resident introduced Mukuppodi sidhar to us. First few times when I saw him he was either sleeping or he was walking without paying any attention to anybody. But one Thursday evening , I went to the navakkiraka temple and there were many people sitting in front of him and he was sitting on the wall where the navakkiraka staues where placed. Once he saw me he said some words by moving his hands, which I didn’t understand. Then he started to laugh by looking down....then suddenly he lifts his head and looked at me directly into my eyes for few minutes....... There were people standing around him and I was standing near the wall of the Amman temple. But somehow within that straight line there were no body, so he looked at me directly......Honestly I didn't know what was going on at that time nor even now....And I didn’t pay my respect to him......I still wonder why I didn’t do a pranam .....but at that time I really didn’t know what to do or how to react.......As you mentioned about his thejas...glowing face and powerful eyes, it was quite something....In my lifetime I never seen a person like him before. I wrote a poem (I tried) what I feel about “Mooku podi sithar” and I like to share with you as you have experienced the same thing that I went through. Just be silent and be free. i had the opportunity of seeing him between 15th and 20th three times in that gap. when i squatted before home on first day when he opened his eyes seeing me he made some sounds and fellow devotees asked me to get up and move away which i did. later when i was in his sides he saw me 2-3 times. same look on another day. yet to see the results of his casting his eyes on me. I got his blessings in Bangalore this week. I fell in his feet and held him tight and I got a slap from him. I dont know what is means. he came back staring at me and said something by waving his hand.. Does he come to bangalore? A slap from a siddhar is quite a bit different than a slap from an ordinary person! 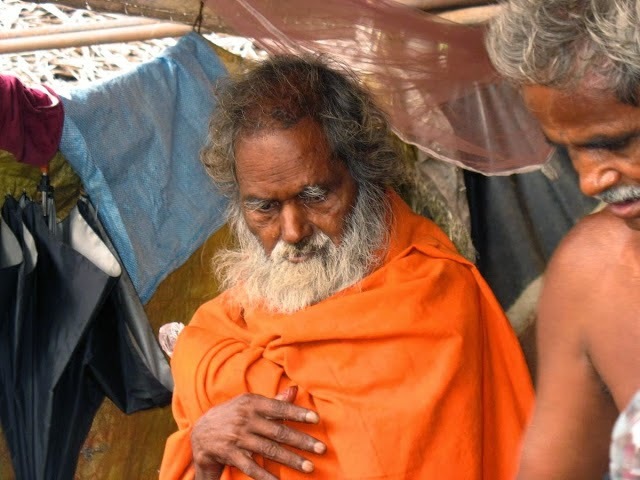 If you have confidence in Swamigal, just accept that everything that happened is a blessing. Quite similar to the initial writing on Mookkupodi siddhar, He has blessed me quite a few times. During one of the girivalams, by which time, he had already moved to the navagraha temple site, I had forgotten about him. Just at the very spot, I suddenly remembered him and thought that I had already crossed him and therefore missed to see him. Out of anxiety, I asked the priest at the temple there, where does mookkupodi siddhar stay these days? He very casually pointed out to a fgure that was sleeping on the floor, with his eyes closed, "Here he is". I was happy that I did not miss him and that I got to see him. I sat on his right side - he was sleeping on his left side with his face away from me. Within my mind, I told myself, how I wish Siddhar would look at me and I kept sitting there - just to be around him and get his blessings. I was suddenly taken aback, when he turned his side and directly looked deep into my eyes and then again he turned back away from my face and continued lying with his eyes closed. I sat for some more time and then took courage to touch his feet for his blessings. He did not react. The experience was quite fulfilling..... Will wirte about my first experience with him at another time.